Julie Haydon's first novel, Lines upon the Skin, was published in 1995. Since then she has published more than 200 books (see Novels, Children's Fiction or Children's Non-fiction for more information). 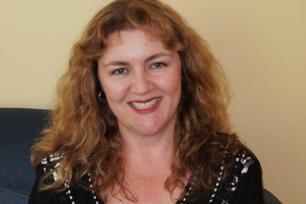 Julie has a BA in Media Studies and is currently completing a MA in Applied Linguistics. Prior to becoming a full-time writer and artist, Julie worked as a publicist, copywriter and editor. She lives on the Mornington Peninsula in Victoria, Australia, and is a member of the Australian Society of Authors and the Australian Writers' Guild. She also writes romance novels under the pseudonym Brooke Templar. In her spare time, Julie likes to take photographs and to paint (see Art for some examples of her work). NEWSFLASH! Julie now has a Facebook Page where she will be posting about her books, giving writing tips and displaying some of her favourite photographs and paintings. The Page is public, so even people without a Facebook account can see it. Click on the box at the top left of this page to go to Julie's Facebook Page.